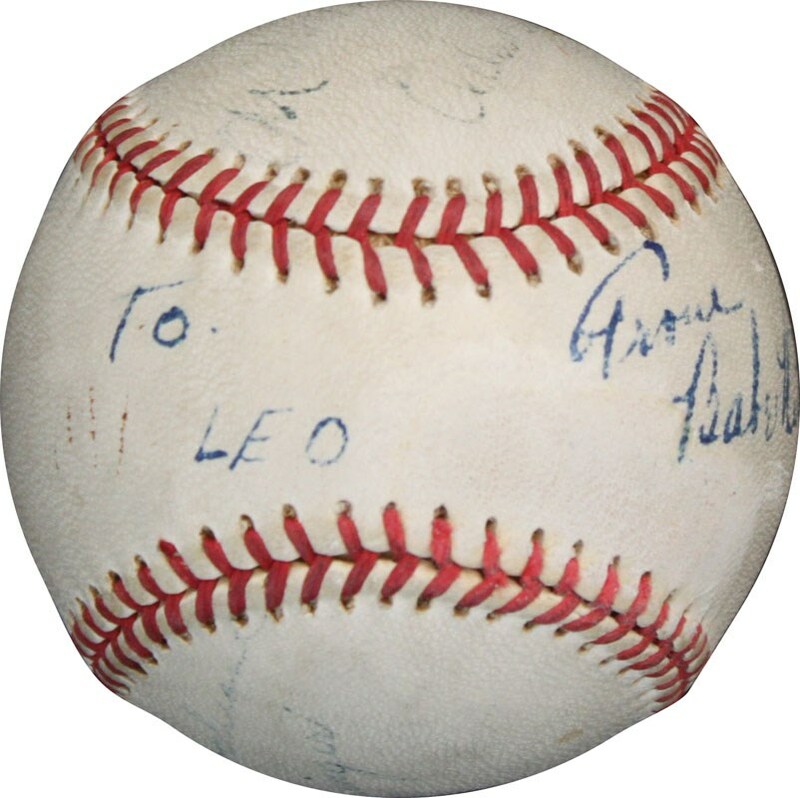 No baseball player receives the attention in our illustrious hobby as George Herman "Babe Ruth". 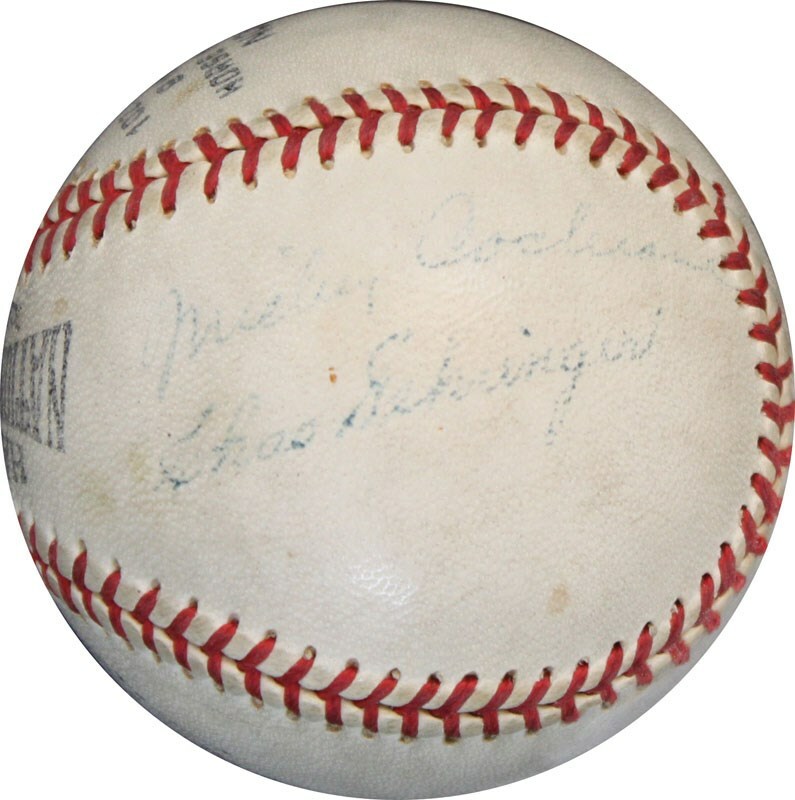 His iconic legacy will "echo for eternity", and his sheer diamond excellence both from the batter's box and pitching rubber will forever ensure his place as our National Pastime's greatest all-time player. 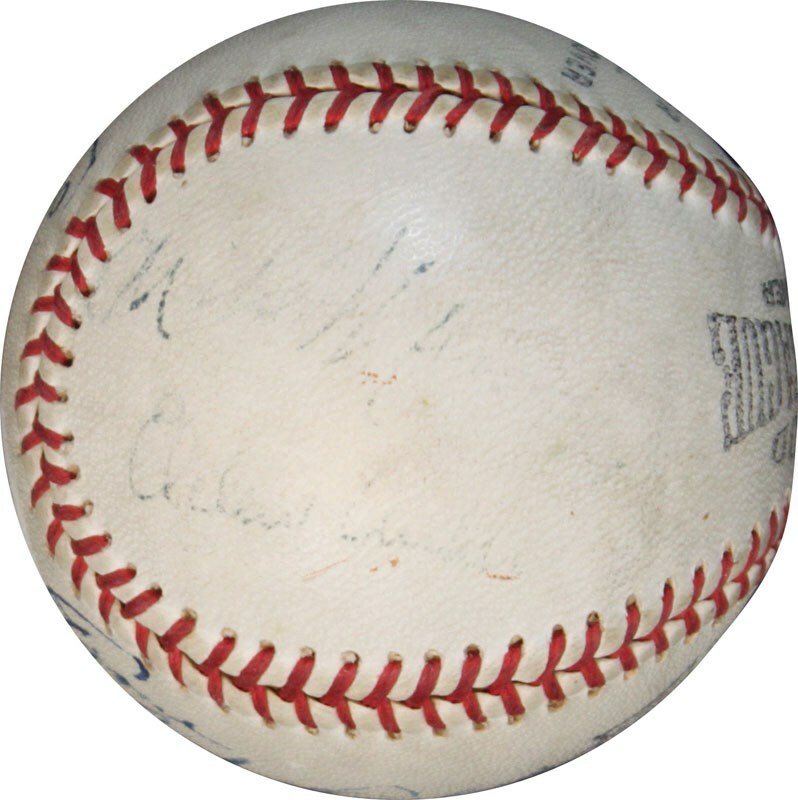 On and off the field, the "Sultan of Swat" was on the tip of everyone's tongues, both yesterday and today, for his unparalleled persona captivated not only an adoring American Nation but the entire globe. 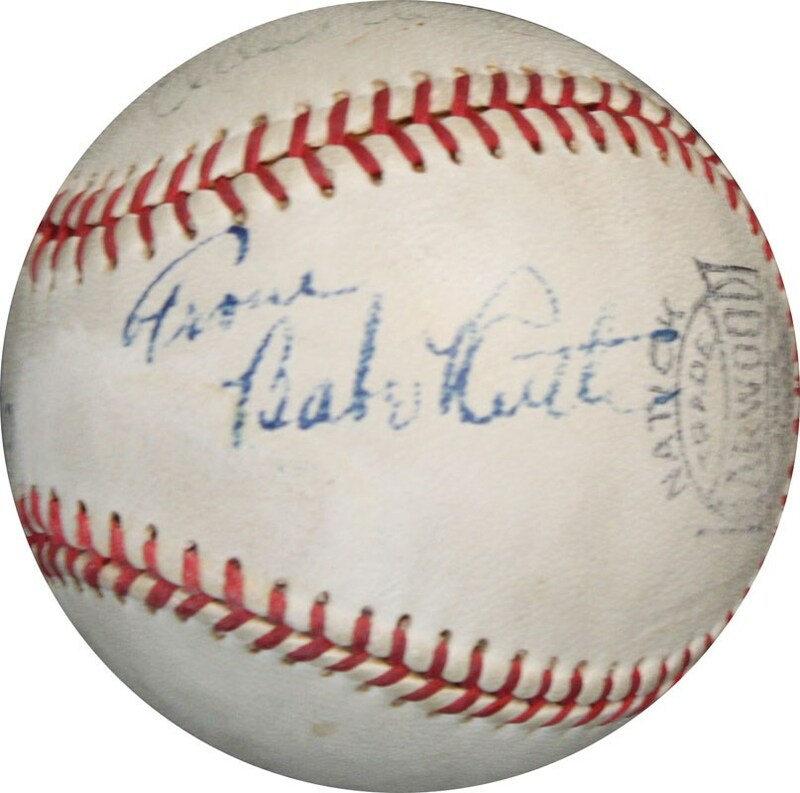 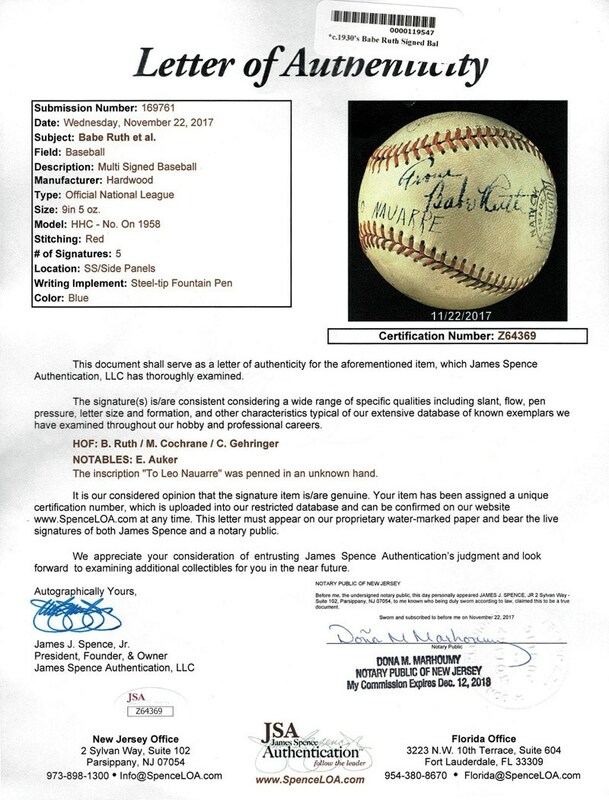 For these reasons and so many more, his signed artifacts are highly coveted by nearly every autograph enthusiast, with virtually none more desirable than a signed Babe Ruth baseball. 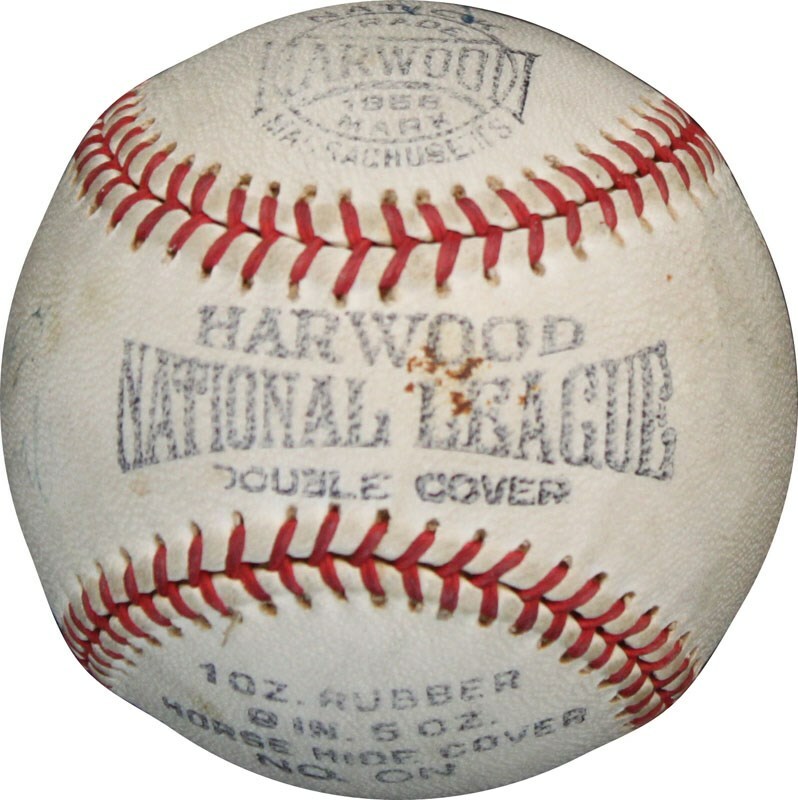 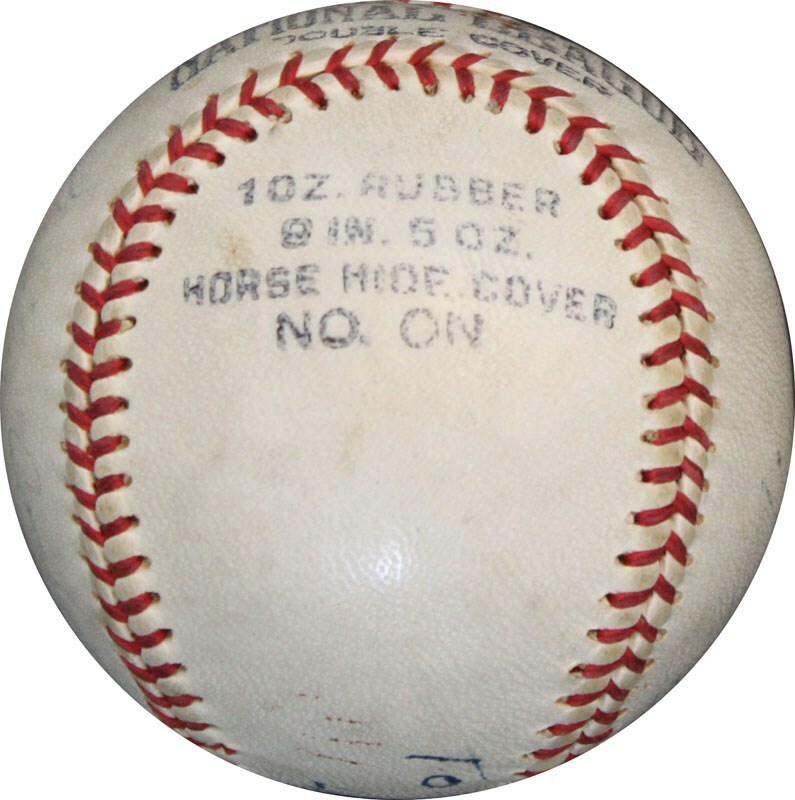 This Harwood National League baseball has been scripted by the immortal Babe Ruth on the East Side Panel in steel-tip fountain pen with the bold blue "From Babe Ruth" inscription portraying "7/8" strength.